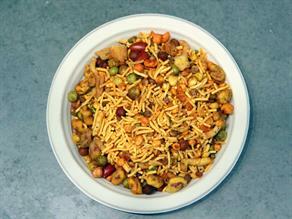 Seasoning of the gram flour dough with Heeng (asafoetida), clove and black pepper etc. 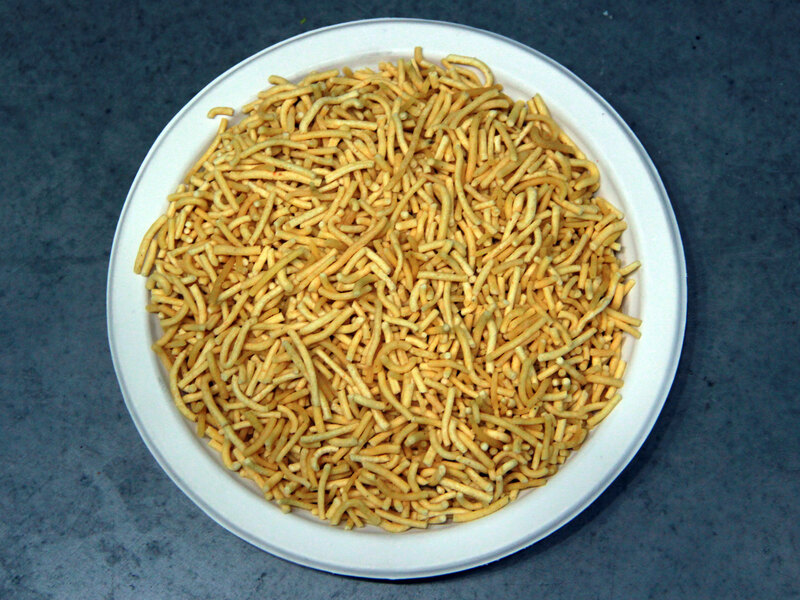 deep-fried in cotton seed oil lend a unique taste to the Namkeen Sev served at Pradhanji ki Dukan. 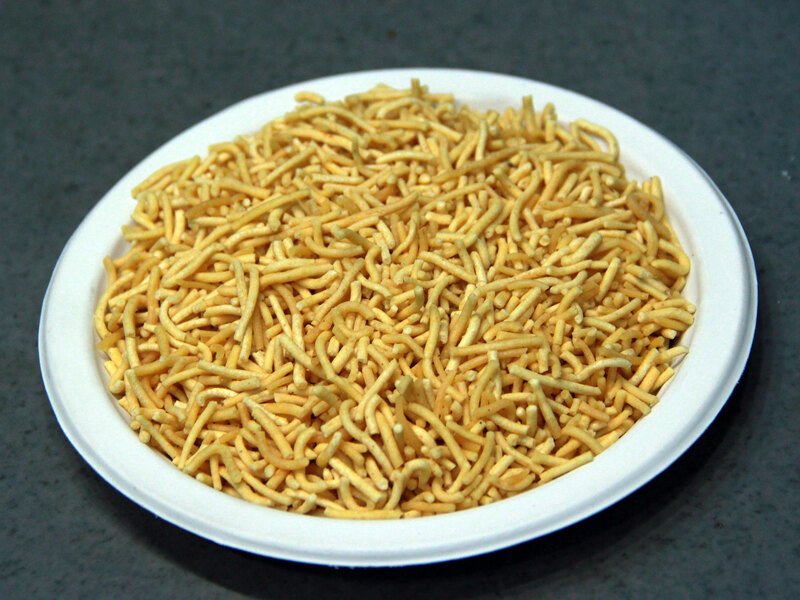 The noodle like savory Namkeen Sev prepared from soft dough of gram flour (Besan) seasoned with Heeng (asafoetida), clove, black pepper, red chili powder, salt etc. 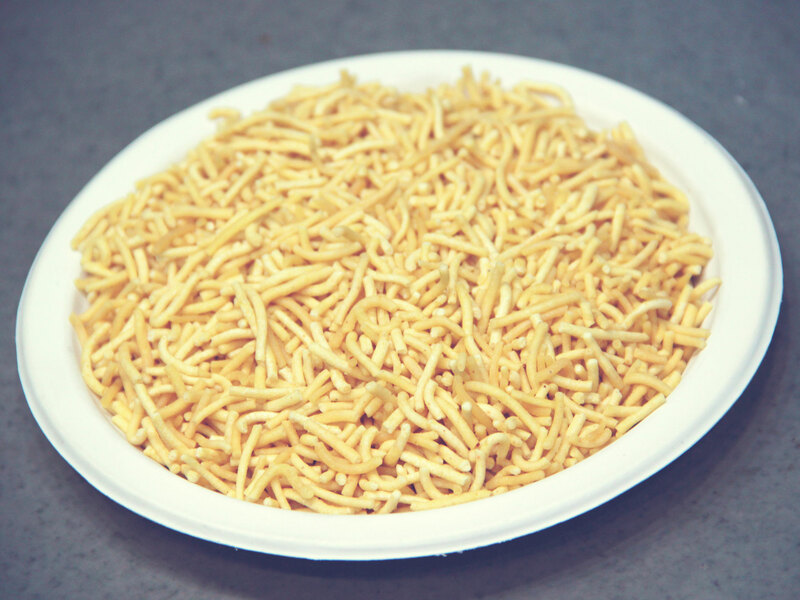 and deep-fried in cotton seed oil is a spicy and crunchy snack consumed independently or with meals. The taste is available from 07:00 a.m. to 09:30 p.m. 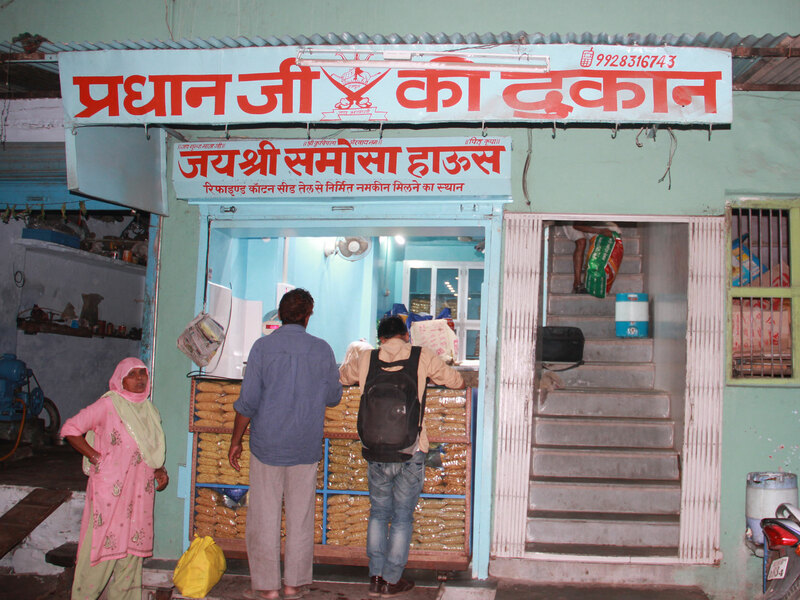 The five decades old Pradhanji Namkeen Bhandar is renowned to serve a variety of delectable Namkeen Sev prepared using cotton seed oil at very reasonable prices in a well-maintained shop. 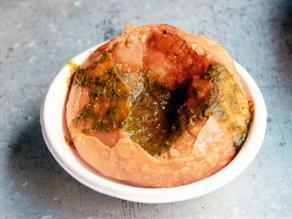 It also goes by the name- Jai Shri Samosa House.